Its already the middle of August and so much is happening up in the heavens. Last monday, NASA successfully landed the largest robotic rover, Curiosity, on Mars. In the sky, Mars is still visible low in the west, during the early evening, forming a neat little triangle with the bright star Spica and the planet Saturn. This triangle continues to get smaller every day, until about 14th August when the three objects appear in line with each other. 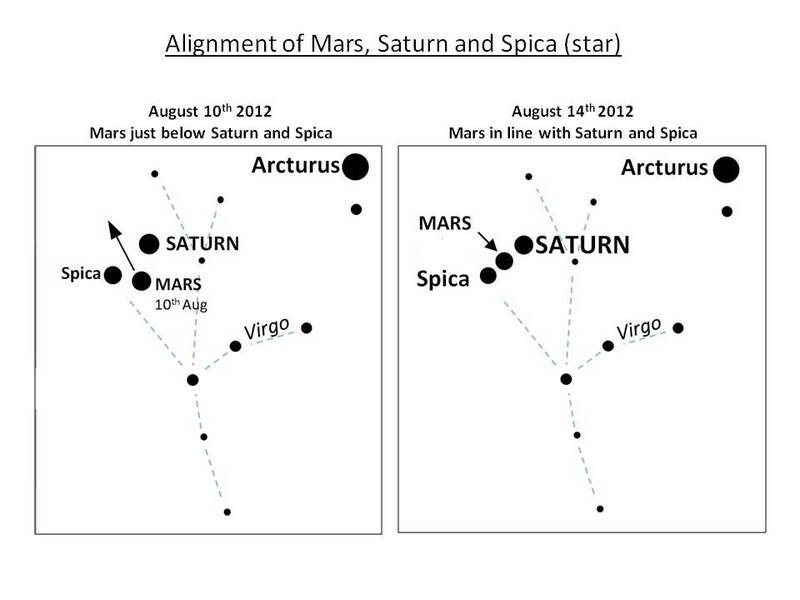 After 14th August, Mars will gradually move upwards away from Saturn and Spica. They are best viewed before 9pm. The reason for this alignment is that Earth, Saturn and Mars are roughly in line with each other in the Solar System. 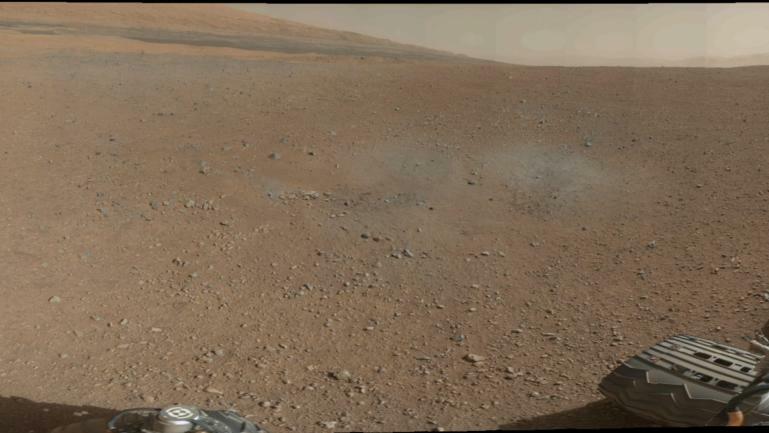 However, the three planets are not in line with the Sun, as Mars and Saturn are located towards one side of Earth, which is gradually speeding away towards the other side of the Sun. There is also a similar alignment towards the morning side of the Earth, with Venus and Jupiter still visible in the early morning around 6am. August is also a great time for meteor showers as the not so prominent Delta Aquarids comes to an end at the beginning of August and the much more obvious Perseids Meteor Showers peaks around 12th and 13th August. To view the Perseids its best to stay up all night and watch the sky between midnight and dawn on either 11th or 12th August to have the best chance of catching shooting stars. 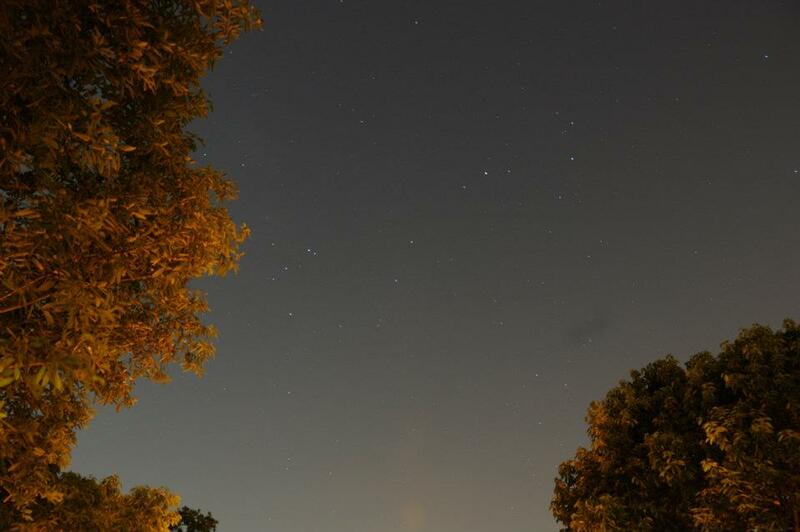 However, in an urban environment like Singapore, you're likely to see much less meteors than those in darker areas. 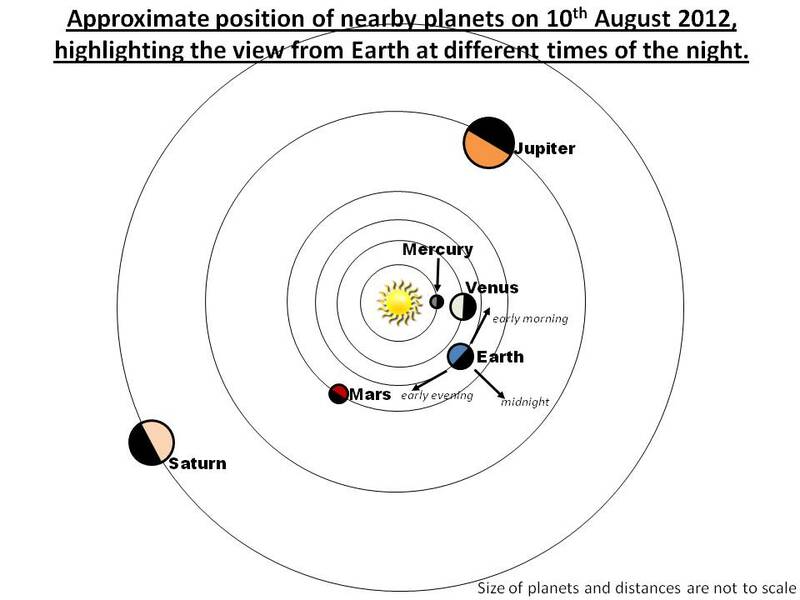 Early morning (6am) on 13th August, you'll also see the waning crescent Moon just above Venus and Jupiter. With four planets, the moon and a meteor shower visible in one night, I'm hoping to stay up all night on Sunday and take some photos. On 24th August there is a First Quarter Half Moon, this night is also known as Qi Xi 七夕, the 7th day of the 7th month of the Chinese Lunar Calendar. Associated with this night is the story of Niu Lang 牛郎 (cow herd) and Zhi nu 织女 (weaver girl), who become separated and meet again every year on Qi Xi. 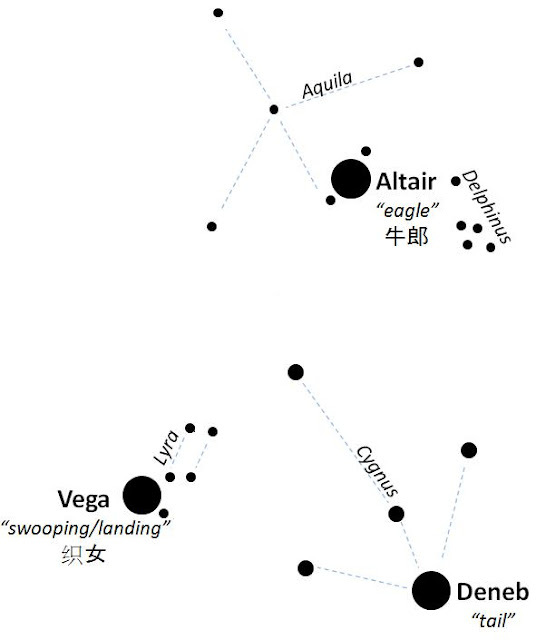 The story is also represented by the constellations Cygnus, Lyra and Aquila. The brightest stars of these three constellations (Deneb, Vega, Altair) form the Summer Triangle which appears low in the east this month.